Though roses are traditionally symbolic of love and affection, and are the most popular Valentine’s Day Flower, the meaning of pink roses has significance depending on where you look. In ancient Roman Mythology, the God, Apollo, turned Rhoanthe into a pink rose, when she unfairly sought to become the protector of women. In this scheme of events, pink roses depict pain, long-standing suffering and death. Thankfully, there are not many people who adhere to the tenants of ancient mythology. In modern times, the pink rose is considered to be a symbol of innocent love that has not yet blossomed into passion, a flower of sweet thoughts and gentle emotions. Pink roses please all our senses. Visually, they come in a wide array of colors, sizes, and fragrances. They are beautiful to look at, beautiful to smell, and carry a wealth of deep meaning in their blooms. The next time you need to express joy, affection, pride, gratitude, a new romance, or even good luck, pink roses are the perfect choice. This elegant flower; in its beauty and delicate shade expresses a simple, innocent joy. 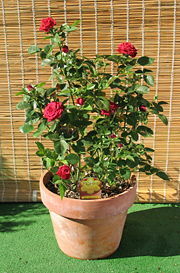 As opposed to red roses, which speak of deep passion, the pink roses are a gentle reminder of affections not yet awakened the gentle beginning of a wonderful relationship. 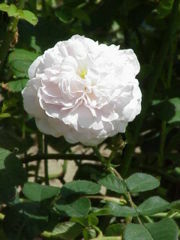 Perhaps the most touching, and traditional meaning for pink roses, depicts and embraces a Mother’s love for her child. It is said that when Mother Mary first saw her son, Jesus, carrying the cross on which he was to be hanged, the first tear that she shed, fell on barren ground. From that single tear, grew the very first, perfect pink rose. There could be nothing more precious to a mother than to be given pink roses, and to recall the story of Mary, Mother of Jesus. Whether you are having an English tea party, giving a gift for Mother’s Day, or simply saying, “thank you,” pink roses are the perfect choice.